Kristin’s parents gave her a comedic head start by home schooling her. She graduated college at 20 with a degree in journalism, packed up her car, and headed to the city where all home school parents hope their kids end up: Los Angeles. 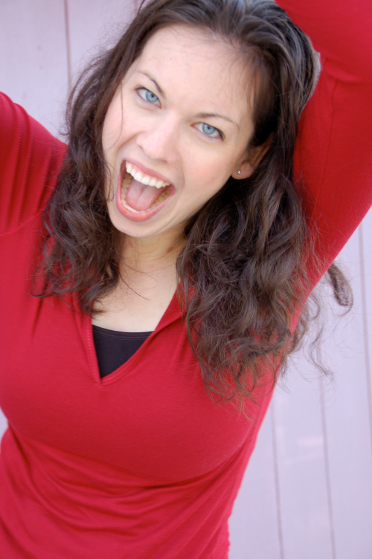 While working in newspaper and radio she discovered her passion for comedy and studied and performed improv and sketch comedy at the Groundlings School and Acme Comedy Theater. She began doing stand up and honed her act at clubs such as The Comedy Store, Flapper’s Comedy Club, The Ice House, and The Laugh Factory. Her clean, observant, occasionally alternative approach to comedy makes her a favorite at clubs, churches, colleges, and coffee shops. (Really any venue beginning with the letter C.) Kristin also produces shows in both Dallas and Los Angeles. In addition, Kristin has a passion for youth and frequently speaks to middle and high school girls and writes for Sisterhood Magazine, a national Christian publication for teen girls. Her book, “The Smart Girl’s Guide to God, Guys and the Galaxy”, co-written with Susie Shellenberger, will be released by Barbour Books in 2014. Kristin currently resides in Dallas with Gerard and Frances, her two pet ducks. Kristin, along with co-author Susie Shellenberger, signed a contract with Barbour publishing for their next book together out December 2016.